Here is a list of wordpress that allow web developer to build a website without modifying the CSS styles. Avada features a powerful theme options panel named Avada fusion. From Avada fusion, you can change the typography of paragraphs, page titles, blog titles, H1, H2, H3, H4, H5 tags. You can import custom fonts into the theme if you want. 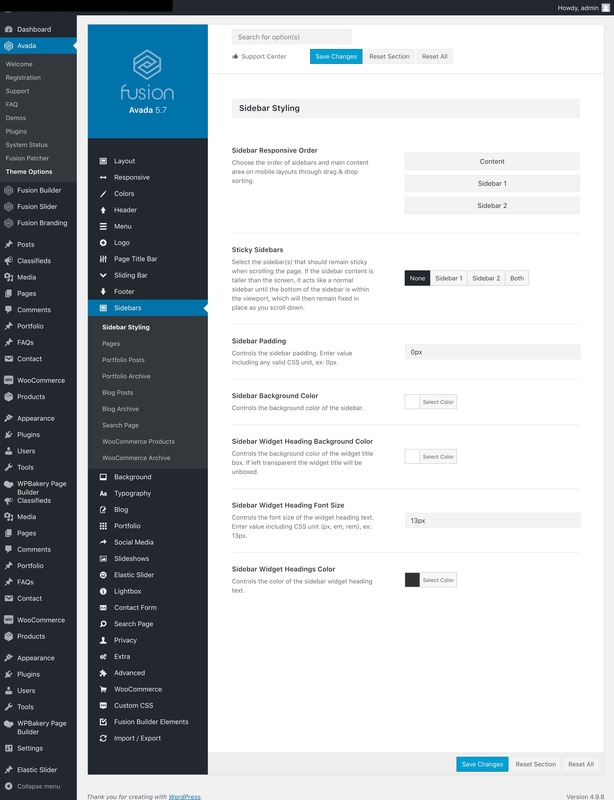 There are several headers and menu layouts that are available. You can modify background colors, text colors and borders of the menu, the page title bar, the sidebar and the footer using settings. Many other settings are available to modify the posts, pages, category, and archive styles and layouts. The Avada theme also comes with predefined templates that you can use as a starter to build your website. You can install one of those template and customize it using the theme options panel presented above.